Handmade the traditional way, with just olive oil. It gently cleanses the skin and is safe enough for the whole family! 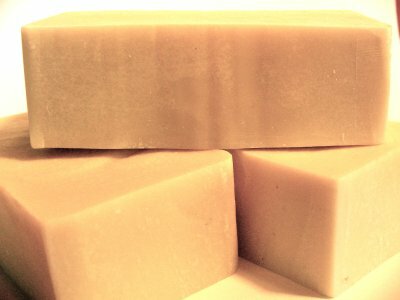 Use it as a bar soap or save money and reduce packaging waste by making your own liquid soaps! -Grate your bar of Raindance organic castile soap into a bowl. -Stir until all soap has melted, cover with lid and set aside to cool. -Allow to cool completely, stirring occasionally, then bottle and label your homemade liquid castile soap! Making the soap really thick is not necessary. Use a foaming hand pump or reuse one of your Raindance’s Blue Glass pump bottles after the lotion is gone. Save money and generate zero waste! It will clean skin as well as kitchen dishes. It will not foam up like harsh chemical commercial detergents, but cleans just as well! Use full strength for hands, body and dishes. Mix 2 cups of warm water, 1-2 tablespoons of soap and a few drops of organic essential oil (such as lemon, peppermint or tea tree) in a spray bottle, shake and use it to clean counters, bathrooms or floors! Make 1 litre of liquid organic castile soap from 1 bar of grated Raindance soap! 1 bar $5.99 2 bars $10.99 comes with no added packaging or plastic wrap to throw away!